Charles Broadfoot & Associates, Inc. – Creator of the USTCOM System For Undergroud Storage Tank Compliance. We provide comprehensive Underground Storage Tank management programs tailored to your needs. Our USTCOM compliance software, our many years of experience in the industry and hands-on service that is second to none provide you with the best possible UST management available. Do you need the USTCOM System? Do you keep every EPA related document in an ever expanding file? Are you afraid to throw anything away for fear it may be important? Do you know the UST regulations as well, or better than the person inspecting your UST sites? 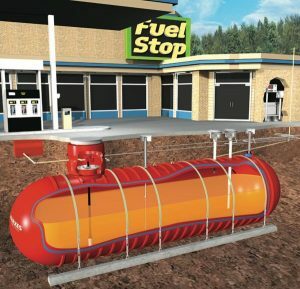 Do you arrive at an underground storage tank inspection brimming with confidence? Or do you show up anxiously with a file crammed full of papers, hoping you have everything the inspector requires? Are you on top of important UST testing anniversary dates? Are you confident a testing due date will not pass unnoticed? Are you aware that there is a form for just about every UST activity that must be filled out and filed with the state? Can you afford to pay a hefty fine for noncompliance? If you had a leaking UST, could you pay for the cleanup costs without trust fund monies, because you were denied access to the UST trust fund due to noncompliance? You need the USTCOM System for underground storage tank compliance. The affordable and effective method of UST compliance.